KEM TILE EX is a specialty additive based cementitious product for fixing tiles to surfaces for its non-sagging and non-shrink advantages over conventional neat cement pastes. 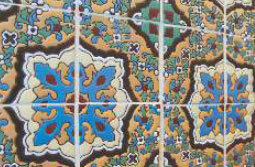 Tiles using KEM Tile Ex can be applied on any surface whether horizontal or vertical. Best for bathroom, toilet, kitchen, floor. 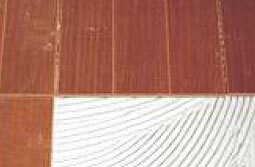 4 kg of KEM Tile Ex covers about 2 1 m when applied in 3 mm thickness. W/P ration is 0.16 to 0.18. KEM TILE GROUT is cement based tile joint filler available in different colours. 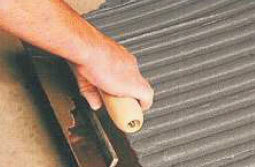 Its versatile property also helps to stop seepages through tile joints. One part of water is to be added to 3 parts of KEM Tile Grout. KEM TILE WA is a high performance white cement based polymer modified tile fixing adhesive for internal walls and floor. Suitable for external floorings, tile-ontile applications, marbles, glass tile and natural stone. The water powder ratio for KEM Tile WA is 0.24 - 0.28 i.e. 25 kg bag requires 6 to 7 liters of water depending upon the temperature. Glass tile 60-70 sq. ft /25 Kg bag at 3 mm thickness and 30-35sq. ft./25 Kg bag at 6mm thickness. KEM TILE ST is a polymer modified, flexible cementitious based high performance waterproof adhesive for fixing natural stones, heavy duty tiles, ceramics, mosaic, granite for floor and wall and walls. The water powder ration for KEM Tile ST is 0.24 - 0.28 i.e. 25 kg bag requires 6 to 7 liters of water depending upon the temperature. 6-7 m / 25 kg bag at 3 mm 2 thickness and 3 to 3.5 m at 6 mm thickness.